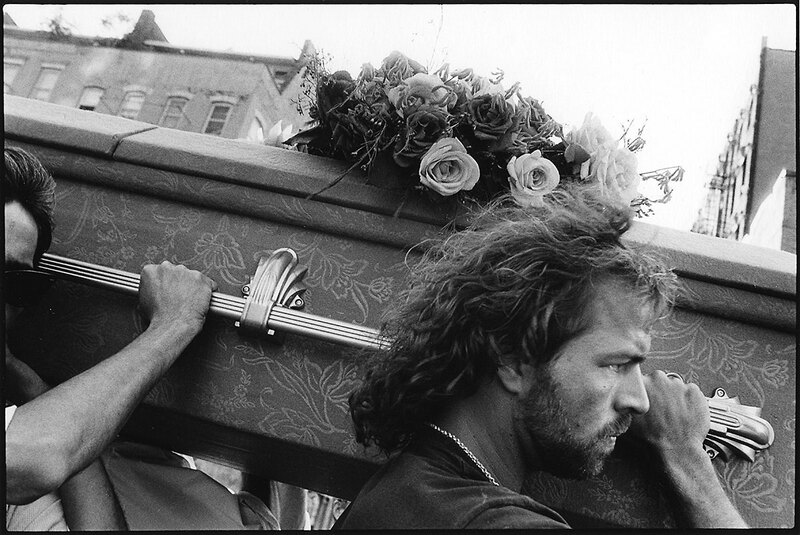 Activist James Baggett and friends carry the coffin of fellow activist Jon Greenberg through the streets of New York City during a political funeral. Jon Greenberg died on July 12, 1993. Two women kiss on a bed being rolled by activists along 5th Avenue at the first dyke march. 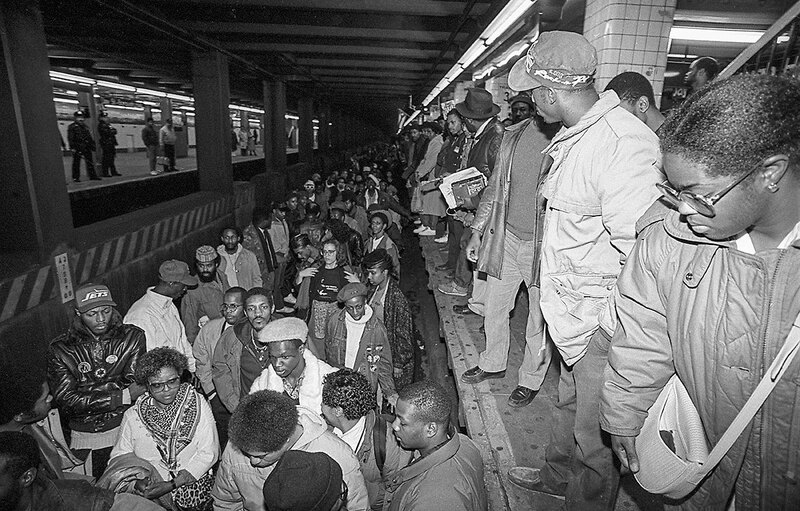 Protestors walk the tracks, stopping subway cars, at the Jay Street and Boro Hall Station, in the Day of Outrage demonstration after the Howard Beach racial killing verdict on December 21, 1987. 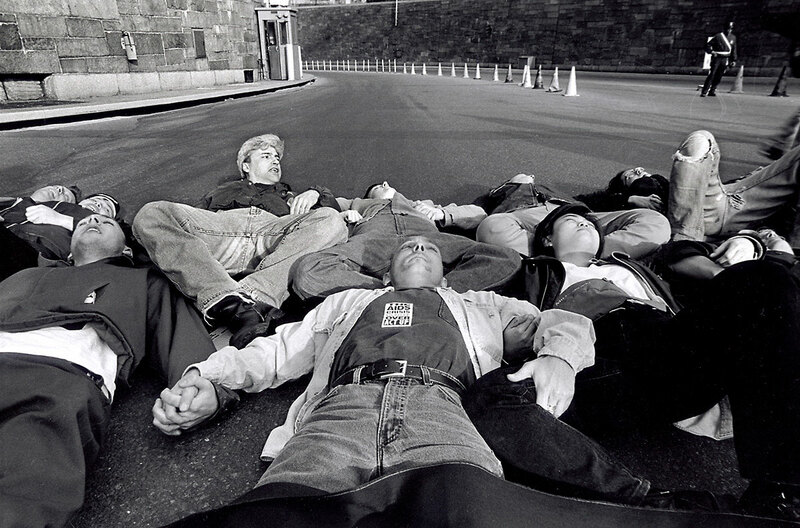 Protestors from ACT-UP and other organizations block the entrance to the Holland Tunnel to raise awareness against policies by Mayor Guiliani's administration. 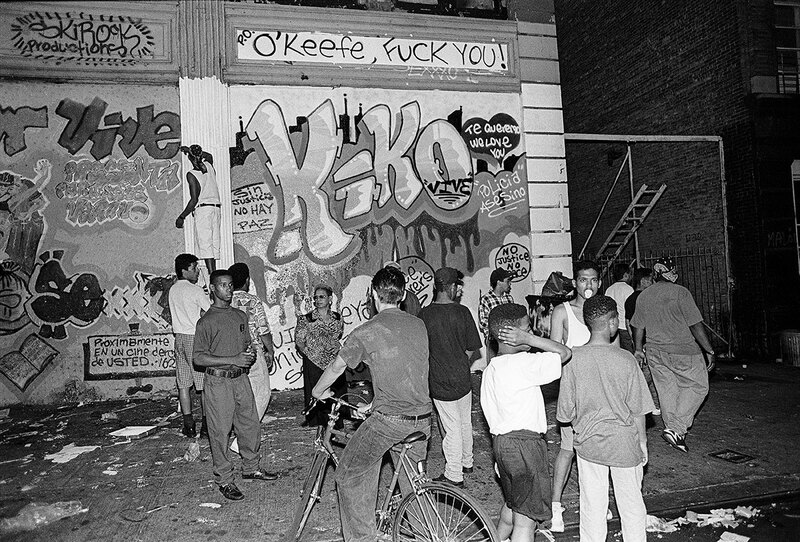 Protesters demonstrate for several days in Washington Heights in the wake of the shooting of Jose "Kiko" Garcia by an undercover police officer during a drug sweep of the neighborhood. 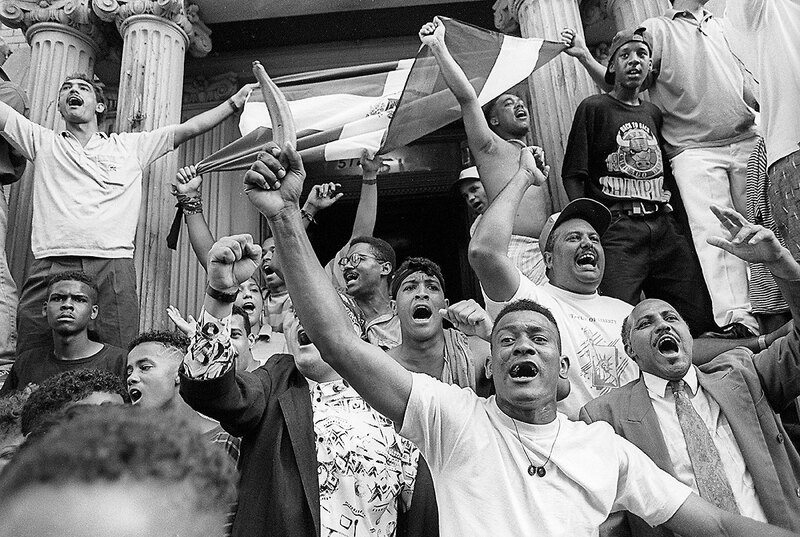 Demonstrations in Washington Heights in the wake of the shooting of Jose "Kiko" Garcia by an undercover police officer during a drug sweep of the neighborhood. 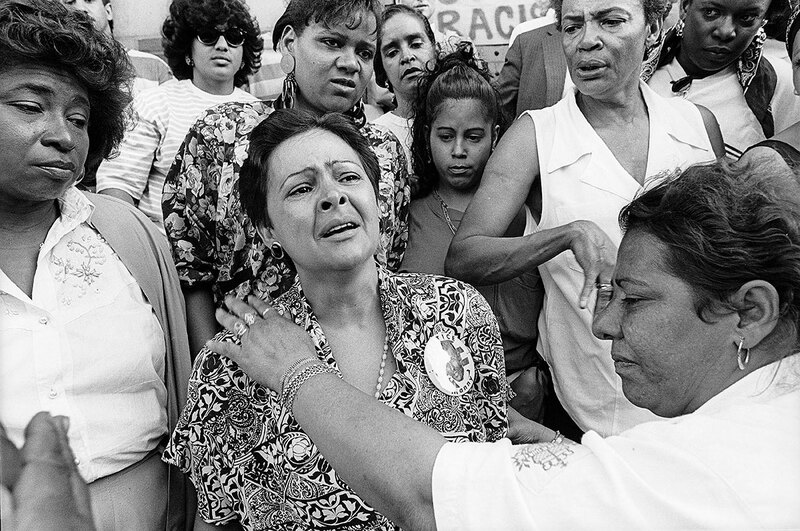 Relatives of residents killed by police mourn in Washington Heights in the wake of the shooting of Jose "Kiko" Garcia by an undercover police officer during a drug sweep of the neighborhood. After sneaking into the Waldorf Astoria Hotel where President George H.W. 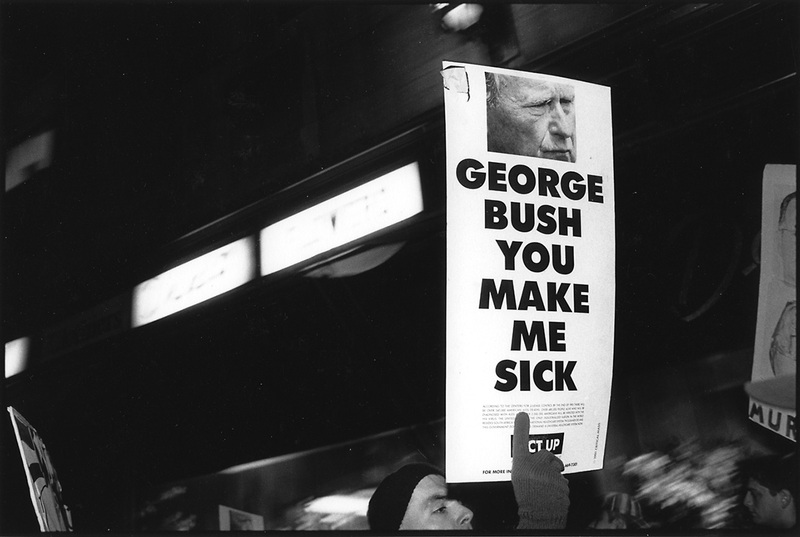 Bush was in attendance of a fundraiser, activisits protested to demand more research and support from the administration in curing HIV and AIDS. 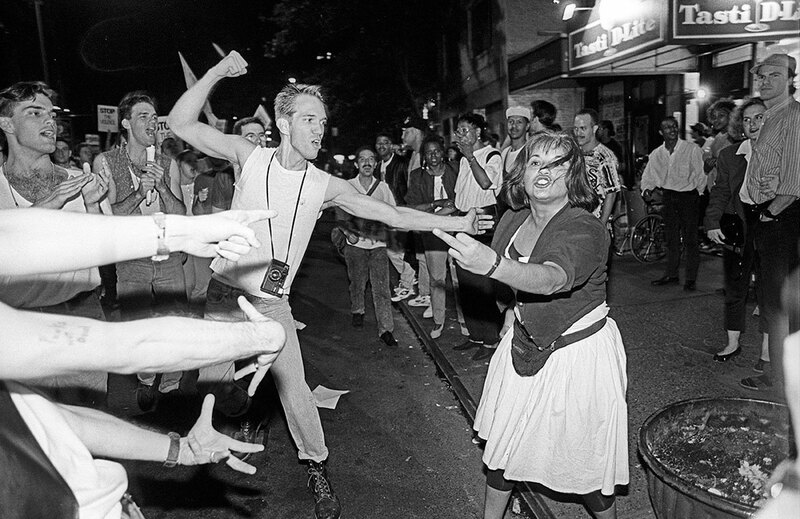 An onlooker confronts activists at a Queer Nation demonstration against homophobia. 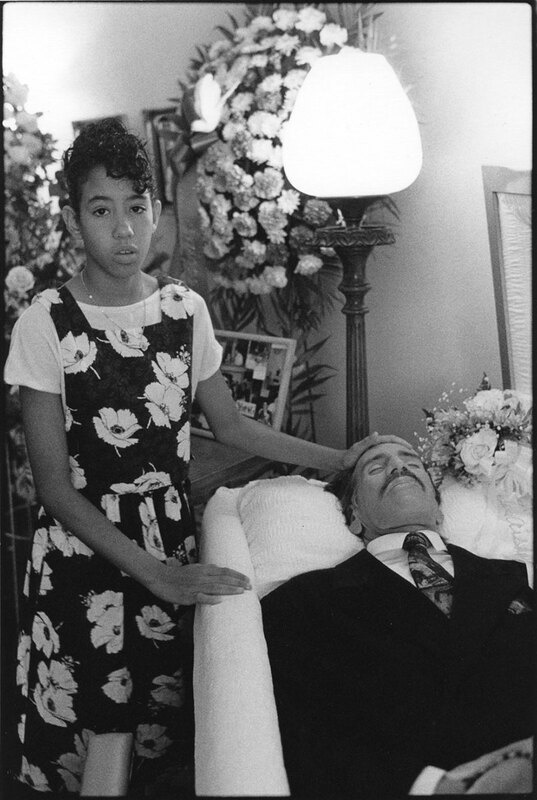 Yakima Sandoval touches her late father Willie's forehead at his funeral after Willie died of AIDS related complications.